Can I secure multiple domains with a single certificate? You can secure inexpensively and efficiently multiple domains and/or sub-domains with a Multi-Domain (SAN) SSL Certificate. 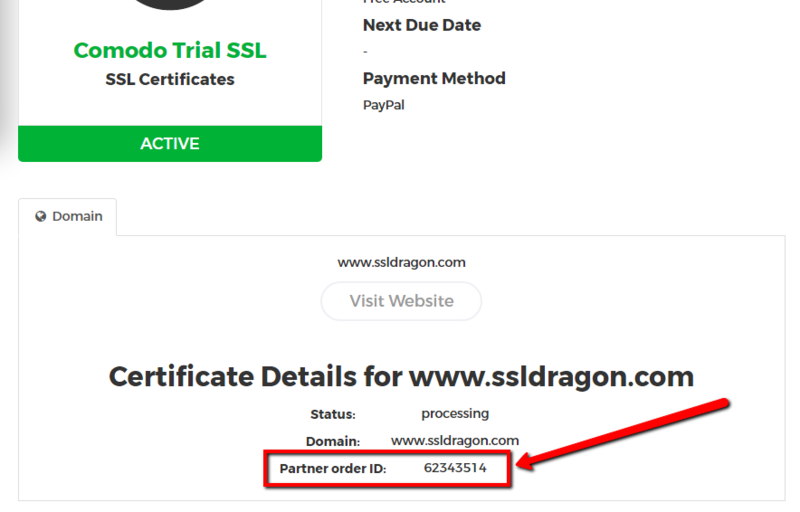 Depending on the SSL Certificate brand and certificate product, the SAN cert will include a different number of additional domains at the price quoted on the SSL Certificate’s details page (see screenshot on the right). 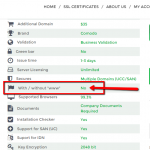 You can find our full list of Multi-Domain (SAN) SSL Certificates at this link. 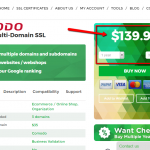 How do Multi-Domain Wildcard SSL Certificates work? 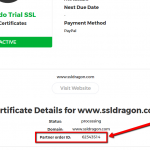 A Multi-Domain Wildcard SSL Certificate is specifically created to allow users to secure multiple domains and sub-domains using one single SSL Certificate. NOTE #1: Any Multi-Domain Wildcard SSL Certificate should start with a non-Wildcard domain. 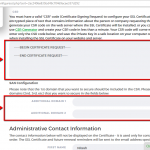 This means that anytime you configure and request a Multi-Domain Wildcard SSL Certificate, you need to generate a CSR (Certificate Signing Request) for a single domain (such as: example.com), without any asterisk sign “*”. This is a requirement that comes from the Certificate Authorities. All the additional SANs (2nd, 3rd, 4th domains) can be Wildcard domains.